It is now running a content management system, it looks totally different but it still contains the same great information. You may find some small errors here and there, we have done our checking, but we're Piping Designers not Web Designers, so some things may have fallen through the cracks ... if you find any problems, broken links, typos etc, please let us know and we'll get right on it. The website is now Login enabled. I am not implementing this yet, but I felt it may be something we utilise in the future. It will use the same login information that you provided when your registered with the forum. Content Management System - this is the backend stuff, relating to how articles and content are stored on the system. Instead of articles being a collection of pages with links to them, all articles are stored in database form, for easy search and retrieval, they can also be given smart tags, displayed at the bottom of each article that will link to other articles containing similar tags. This will primarily be used for articles related to piping in general, but not necessarily related to the Tips, Tools & Training section. I see this as being an outlet for people wising to contribute pieces regarding the piping industry in general. We have combined all these sections into one, which is then subdivided into topics. For example, Section 6 - Pipe & Fittings, contains all of the training articles and tips for that section as well as the related download tools. Along the right hand side of the page is a floating column, with links to our Social Media Pages, LinkedIn, Twitter, Facebook, Google+ & Youtube, for those of you who wish to follow us using these services. All articles now are equipped with "Social Sharing" Buttons. These will enable you to share on FB / Twitter / LI / G+ / email at the clink of a button. Sharing these helps other pipers find out about these articles ... your piping friends will thank you for sharing! The forum has got a face lift also. Nothing has changed in terms of content, but the look and feel has changed, this was mainly to get it to fit in with the overall look of the new site, including the navigation and login sharing capabilities. The jobs board remains as is for now ... still the same great place to find piping jobs! Logins for the piping jobs board are separate from the main site, an unfortunate limitation of the jobs board software, but I will continue to look for solutions to have it better integrated with the main site. 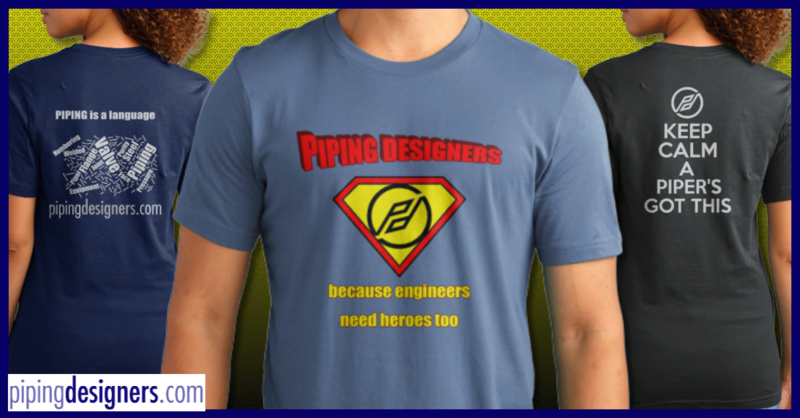 I hope you enjoy pipingdesigners.com Rev 2 ... and please, the best compliment we can receive is that you share the site with your friends and colleagues ... the sharing buttons are perfect for this!